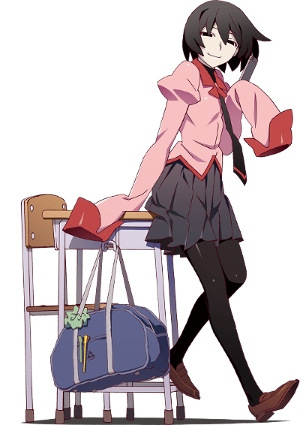 During the month of October of his third year in high school, Koyomi Araragi is introduced to a transfer student named Ougi Oshino by his underclassman Kanbaru Suruga. Ougi tells Koyomi that she has something she wishes to consult with him. When she draws the map of Naoestu High School, she finds something peculiar on there. This discovery reveals a tale that wasn’t meant to be told, and this makes Koyomi’s high school life totally different. This is the story that brings to light “what” makes Koyomi Araragi. This is the story that reveals the “beginning” of everything. This Monogatari train cannot be stopped! The first episode (2 episodes really) was so so so good.